PalletCentral magazine is the journal for the solid wood packaging industry published by the National Wooden Pallet and Container Association. The magazine is distributed to more than 6,800 wood pallet and container companies and industry suppliers worldwide. 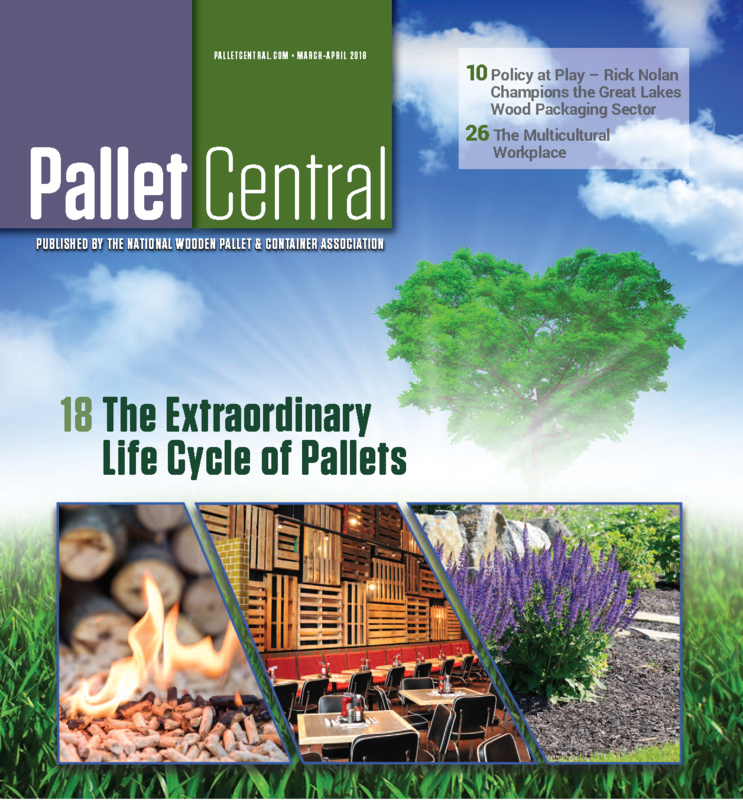 PalletCentral is published 6/x per year, subscriptions are complimentary in both print and digital. To start /manage your subscription, sign-up here. If you're not sure of your subscription status, sign-up anyway and let us check for duplicates. Interested in advertising? Learn more here or access our 2019 rate sheet. What Can PDS Do For My Business? OSHAs New Fall Protection Offers Flexibility - But Will It Last? Leased Employees Hurt on the Job...Am I Covered? BioPreferred: You Know It. Now You Can Show It. Insurance: Crime Coverage: Am I Covered for a Loss that Occurred Two Years Ago? OSHA: What's Ahead for 2016? The 2016 Presidential Election - Is Conventional Wisdom Dead? Hardwood, Softwood..What's in a Name? What's Behind the Numbers? Economic Trends, What's Not to Like?